Please note you must be 18 or older with a valid ID to enter. GRiZ has been hard at work on Ride Waves, his new album, out April 5, 2019. As his most creatively ambitious, most sonically robust, and most personal project to date, the 14-track album features collaborations with major artists like Wiz Khalifa, Snoop Dogg, Matisyahu, DRAM, and Bootsy Collins and sees the producer taking his sound toward uncharted territories in hip-hop, pop, and dance music, all while keeping the funky GRiZ sound intact. Ride Waves is GRiZ’s musical culmination following a full year of self-reflection and creative development, a time during which he initiated an extended, eight-month-long social media blackout to refocus on personal self-discovery and his own artistic growth. Ride Waves, then, is his expression of what GRiZ calls “the emotional roller coaster that is life,” with the album title reflecting all the exhilarating highs and painful lows we all experience on the daily. GRiZ made his grand return to music in November 2018 with the double-single “It Gets Better” and “Can’t Get Enough,” the latter of which features GRiZ’s own vocals for the first time ever. The pair of songs, the first new music the producer has released in over a year and the lead singles off the new album, set the love-filled, positively uplifting tone of Ride Waves. “It Gets Better” is a moving, feel-good anthem that features multi-platinum, GRAMMY-nominated rapper/singer DRAM’s smile-inducing vocals, while “Can’t Get Enough” flexes a retro hip-hop beat that mixes twangy guitars, blown-out bass, festival-worthy soundscapes, and GRiZ’s vocal debut. Outside of the party-rocking themes, Ride Waves also dissects serious sociopolitical topics currently plaguing the world. “A New Day” is a collaboration with reggae singer/rapper Matisyahu, who tackles gun violence in America as he flows over a dubbed-out, bass-filled beat. Based on GRiZ’s real-life experiences, “Barrel of a Gun,” featuring singer Orlando Napier, amplifies the urgency of suicide awareness. A champion of the live electronic landscape, GRiZ’s live show is a spectacle unto itself. His live performances—which mix improvised saxophone, guitar, vocals, and more over booming bass lines and head-knocking drops—have become massive draws around the world. 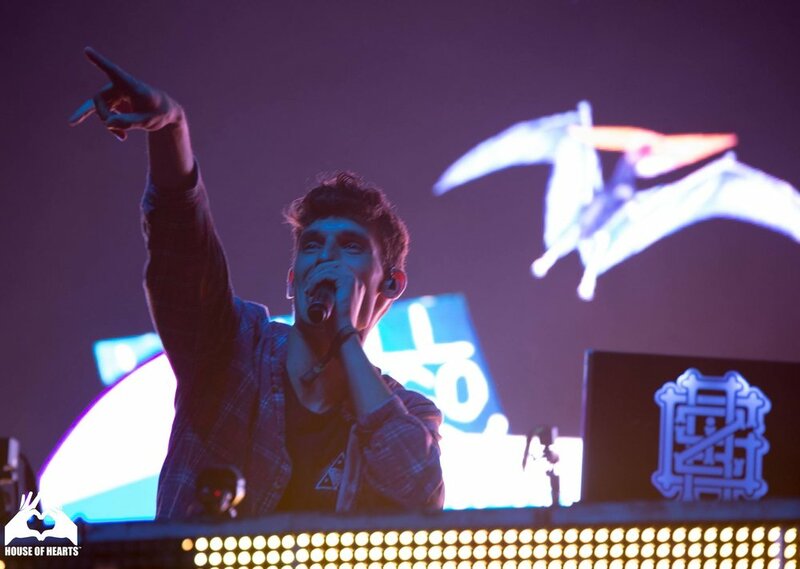 In addition to mainstage performances at major festivals such as Bonnaroo, Lollapalooza, and Outside Lands, as well as headlining sets at Electric Forest and Lightning in a Bottle, GRiZ has headlined and sold out the legendary Red Rocks Amphitheatre in Denver for four consecutive years and counting. He also debuted the 15-piece GRiZ Live Band at the iconic venue in 2017. A shining force of positivity, GRiZ has preached his lifelong Show Love, Spread Love mantra via his ongoing charity work and community activism. Via his annual run of GRiZMAS holiday shows at Detroit Masonic Temple, which has sold out every year since launching in 2014, and the coinciding 12 Days of GRiZMAS series, he has raised funds for music education programs within public schools across the greater Detroit area. Over the years, GRiZ has donated well over $100,000 as part of the GRiZMAS shows. In November 2018, GRiZ partnered with LGBTQ nonprofit organization It Gets Better, created by renowned writer Dan Savage and his partner Terry Miller, to help raise $7,000 on Facebook alone on Giving Tuesday. GRiZ, who came out as gay via an open and personal blog post on Huffington Post during Pride Month (June) in 2017, is a vocal supporter and active member of the LGBTQ community. He will continue working with It Gets Better over the next year, with planned support around Pride Month 2019. The organization will also use GRiZ’s track “It Gets Better” as part of its educational videos. 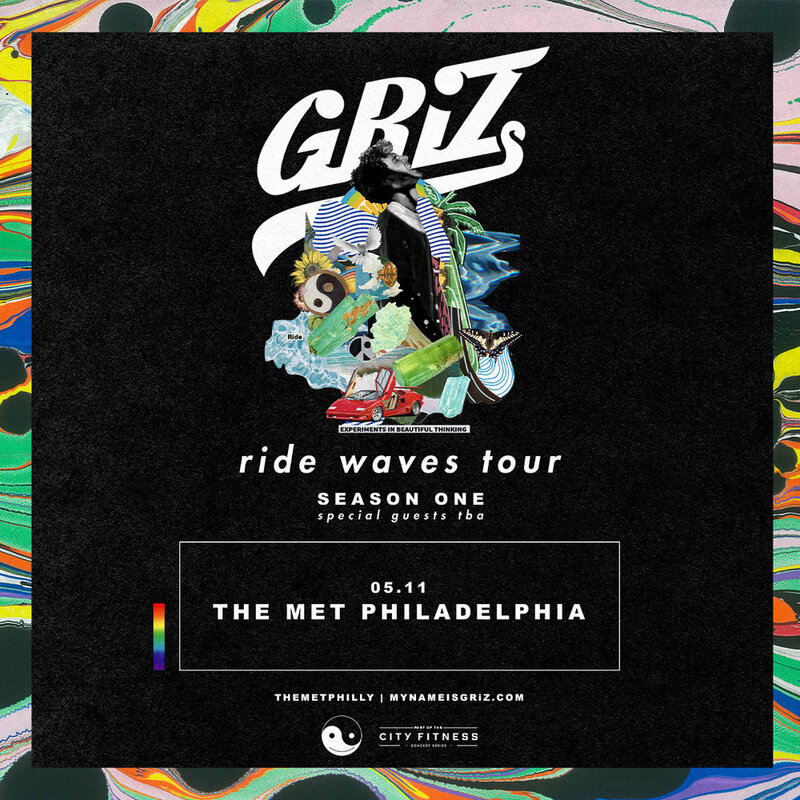 Now with Ride Waves, GRiZ is reaching for new possibilities via enhanced songwriting and improved production as he experiments with fresh genres and techniques. GRiZ summarizes it best: “There’s so much growth on this album.” Cohesively, Ride Waves captures the everyday experiences of human existence, all while soundtracked in GRiZ’s funkytastic fashion.